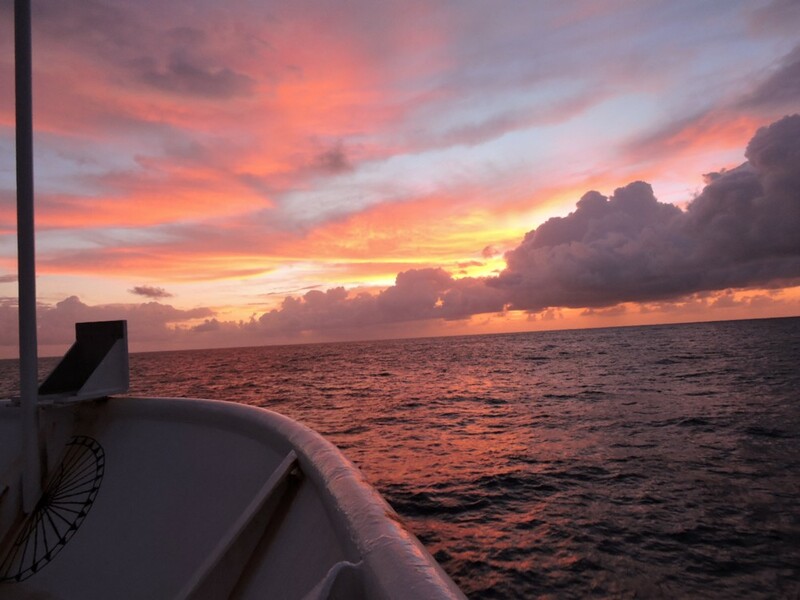 PACIFIC OCEAN — Here’s the latest from the “Balloonatics” crew, on the NOAA Research Ship Ronald H. Brown in the Tropical Pacific Ocean. We are currently headed off course to go rescue a DART (Deep-ocean Assessment and Reporting of Tsunami) buoy that broke loose and is somewhere east of the 125°W line between 5°N and 8°N. We should reach that buoy today and then will jog back to finish out last of the TAO (Tropical Atmosphere Ocean) buoys. We are a little behind our planned schedule, but we still should still arrive in San Diego sometime on Friday, March 18. We continue to launch 8 radiosondes each day under some very tough conditions: Winds are 15 meter/second (translation: very turbulent), large swells, lots of sea spray, and a few waves washing over the fantail. The ship adjusts course some, but does not slow down for launches due to the time crunch. I’ve seen the balloon/sonde do some amazing things and we’ve donated a few sondes to Neptune! To date, we’ve had 173 launches that “count.” Helium will be our limiting factor on how long we can continue to launch. We’ve decided we will only relaunch at 0:00am UTC or 12:00pm UTC if we have a failed launch. I’ve calculated that we should be able to do three more days of 8 launches per day, and then four days of 6 launches per day. We may switch to 200 gm balloons on the last 4 days to conserve helium. We’ll stop sounding on March 16 or 17, and then start to head back. 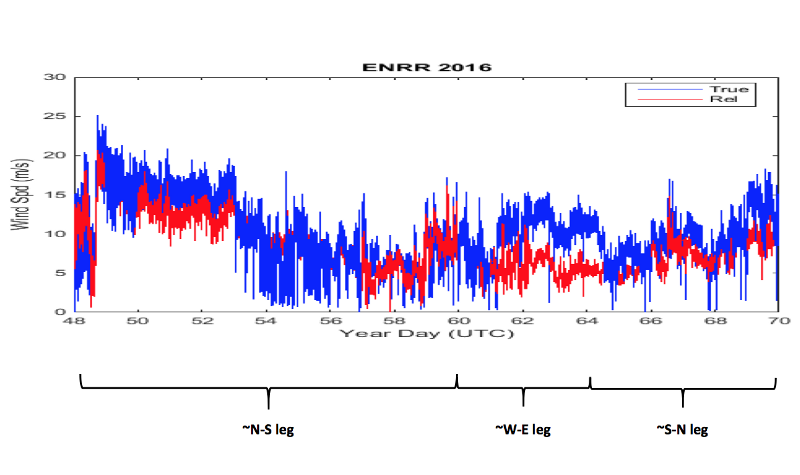 These are time series plots of met data from the beginning of the cruise until yesterday. 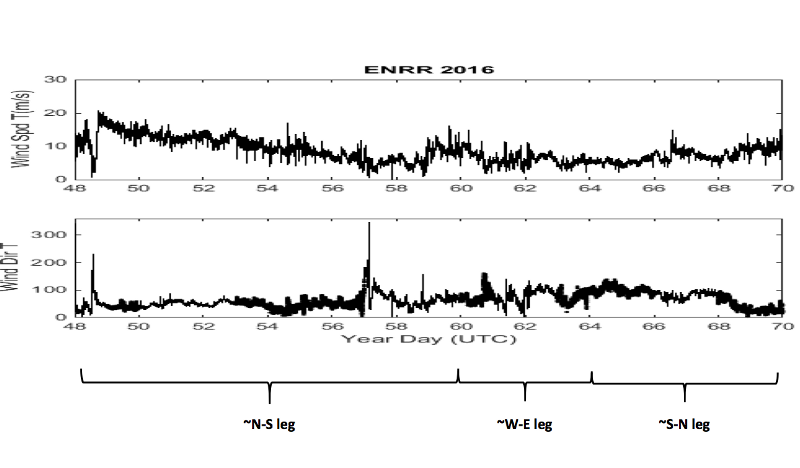 These are preliminary data sent from the ship to SAMOS (the Shipboard Automated Meteorological and Oceanographic System) at FSU. Signing off for the Balloonatics!